Lamb dressed as Mutton: Cupcakes in teacups! Ok, so not exactly a blog about television, BUT before you stop reading I will mention some TV near the end, so bare with me! 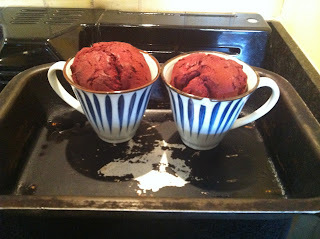 I came up with the idea to make cupcakes in teacups, when I saw this blog post by Scarlet Curtis. She made lemon mouse in teacups, and I thought that was the coolest thing ever. I didn't have a any nice antique teacups like she does but I think it worked anyway. I thought it would look good if I made red velvet cupcakes as I've never made them before and I thought it would contrast the white teacups. I used this recipe from BBC Food and adapted it to work for me. 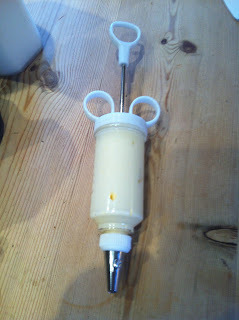 First off, you need to cream together the sugar, the butter and the vanilla extract. A wooden spoon will do the job, but an electric whisk would be quicker! Next up, you need to add the eggs separately, adding a little bit of flour after each egg to stop it from curdling. 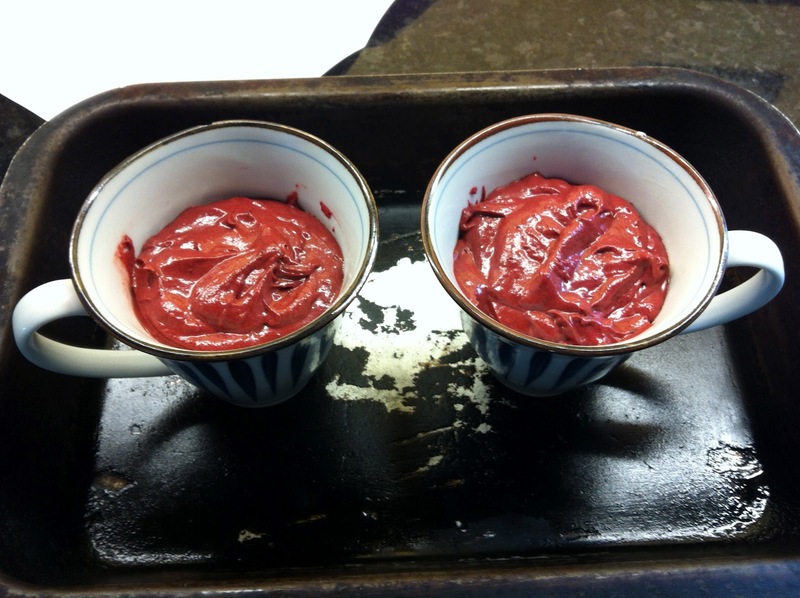 In a separate bowl, add the yoghurt and the red food colouring paste. I used paste as you only need a little bit to get a great colour, but food colouring from your local supermarket would do. I was a little bit worried that I hadn't added enough colouring, but it actually turned out well. 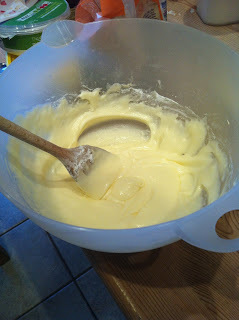 Add this mixture to the egg, butter and sugar and beat well so it is completely incorporated. Then fold in the flour and cocoa powder followed by the milk. You need to grease your tea cup and then add the mixture. 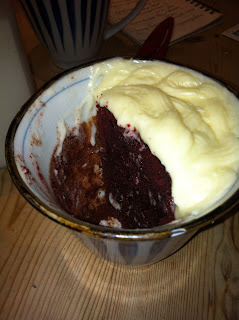 Try not to get any mixture up the sides, as this will burn and it won't look very good! Whilst they are cooking you can make your icing by mixing together the butter and cream cheese until smooth and then gradually adding the icing sugar. Make sure it is completely combined and you don't get any food colouring in it! Once they are completely cooled, you will need to ice them. To do this you can put the icing in a piping bag, or I recently bought this really cool syringe which made the process a lot easier. If I was to make it again I would add a bit more icing sugar as the icing didn't quite stay where I put it. Let me know if you have a go at making them and ask me any questions if you have any problems and I will try to help!